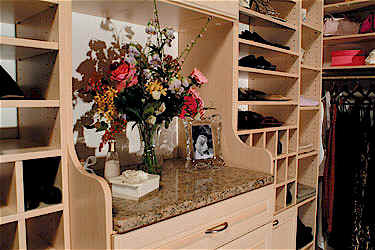 Ohio Custom Closets, Inc. is a locally owned and operated. Every call is important to us. If you do not get the President direct, please leave a message with our answering service. We will get back to you at our first breaking point. Ohio Custom closets has been an Excellent choice in Home storage and Closet organization in the Tri-State for over 20 years. We’ve built a reputation as the “Best For Less” while maintaining outstanding quality and customer satisfaction – Our huge customer base of repeat business and referrals can attest to that! On a budget We can build the simplest affordable closets and storage solutions to the most impressive custom suite with endless upgraded styles, finishes, accessories and hardware. A place for everything . . . and everything in its place. Now that’s organized!